Fashion Factory Birthday Parties. 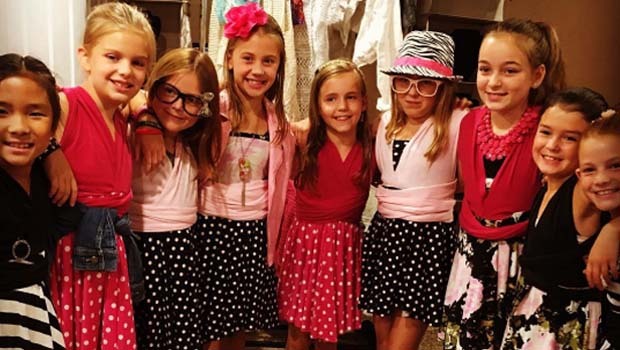 Fashion Factory of Mt Clemens offers birthday party packages that include instructor-led sewing sessions and and everything the birthday child would need to make an awesome party filled with fashion, sewing, and creating. They even offer customizable party packages to include goody bags, treats, and more. The Mt Clemens Fashion Factory location offers, classes, and workshops for girls ages 7 and up. Fashion Factory sets the stage for creativity giving your birthday party girl and her guests an event not soon forgotten. The birthday girl and friends will learn all about sewing and make their own fashionable creations! Fashion Factory birthday parties are suited for kids ages seven and up. Accommodations for larger groups are available. Customized packages including party favor bags or cake/cupcakes/cookies are also available. Contact The Fashion Factory today to discuss party packages and how The Fashion Factory can come to your Metro Detroit home to give your child the most stylin’ party ever! The Fashion Factory is an awesome experience aimed at young ladies aged seven years old and older with a passion for fashion. Participants are encouraged to make fashion, make friends, and have fun! The Fashion Factory hosts birthday parties, Girl Scout troops and events in-studio or on-the-go in addition to weekly classes for those who want to learn and develop their sewing and design skills. The Fashion Factory was created by a mother, Toni Davison, and her own ten year old fashionista,Tiah. It began as a way for the pair to locate young ladies of similar interests to have fun sewing with. The two of them can often be seen teaching side by side in the studio. Each of them bringing their own unique experiences and unified desire to impart their knowledge to those that desire to learn.